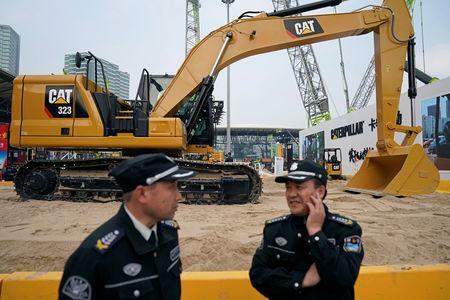 SHANGHAI (Reuters) - China's construction equipment industry is bracing for a decline in sales in 2019 after two years of rapid growth, as work slows on new projects and firms replace fewer old diggers and cranes, executives at an industry event in Shanghai said this week. 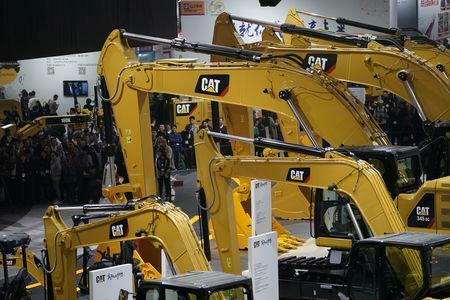 China is likely to see sales of excavators, loaders and dump trucks — proxies for the country's infrastructure and building sectors — fall 7-8 percent next year, down from 30 percent growth in 2018, data from consultancy Off-Highway Research show. 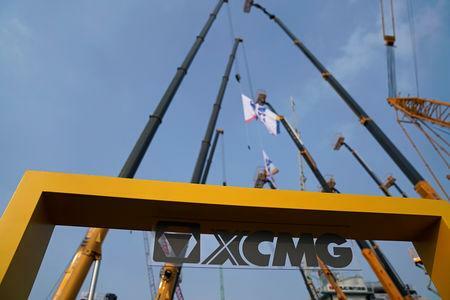 "There are a number of uncertainties (in 2019), be it in relation to the global economy or world trade," Lu Chuan, president of XCMG Construction Machinery Co Ltd <000425.SZ>, said on the sidelines of the biennial Bauma China fair. Industry executives said there were signs that growth had peaked and that customers were turning more cautious, a concern for firms from Caterpillar Inc <CAT.N> to local rival Zoomlion <000157.SZ> and Japan's Komatsu Ltd <6301.T> in the world's largest market for construction equipment by unit sales. Melker Jernberg, president of Volvo Group's <VOLVb.ST> construction equipment unit, said the Swedish firm anticipated 2019 sales would be in line with this year or a "little bit lower". Companies like Sany Heavy Industry <600031.SS>, XCMG and Volvo CE have started investing in technologies such as artificial intelligence and electrification to try and get an edge over their competitors.